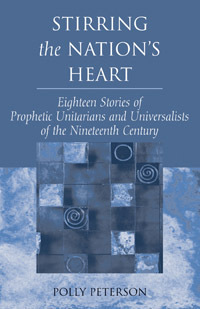 Here are eighteen compelling stories from the lives of some of the nineteenth-century Transcendentalists and reformers who played key roles in Unitarian Universalist history. Each story is preceded by introductory material to provide context, and followed by quotations that give a fuller picture of the life and work of the subject. Supplementary materials make each story part of a complete program, including discussion questions suitable for small groups, activities for congregations and families, and suggestions for ways to apply the wisdom from each historical figure's story to issues and challenges in today's world. Ideal for adult religious education, congregational worship, small group ministry, Coming of Age groups, multigenerational gatherings or family use.